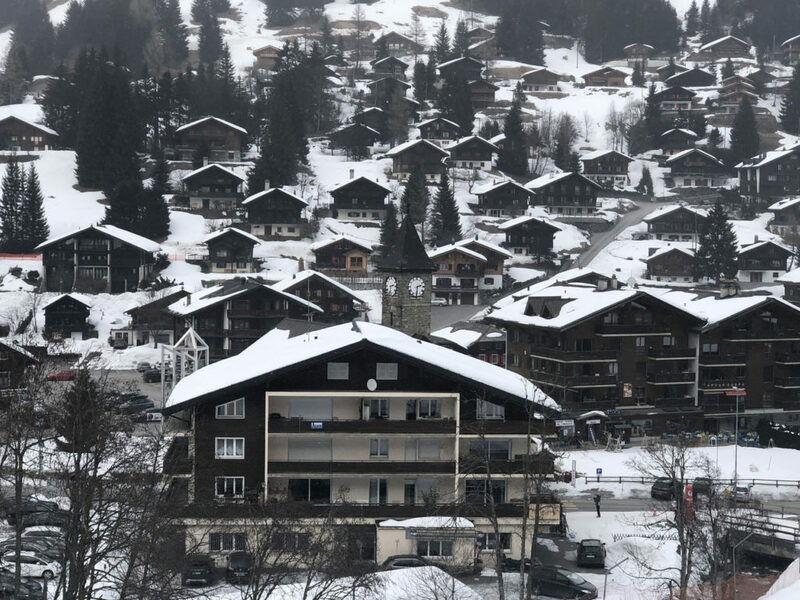 Portes Du Soleil is a Swiss French ski resort, one of the largest ski regions in the world, located between Lake Geneva and Mont Blanc. 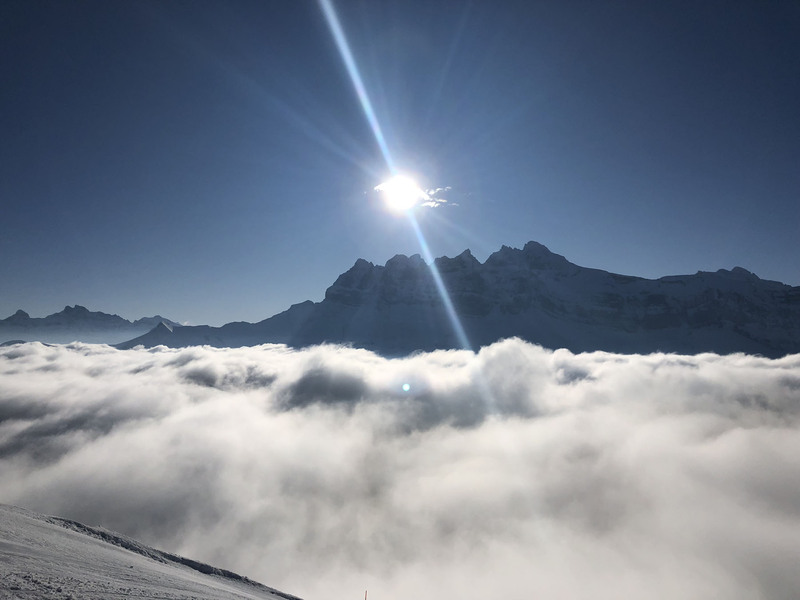 The heart and soul of this “Gateway to the Sun”, ski region is the legendary Dents du Midi – “teeth of noon” which are towering jagged peaks that tower over the Swiss mountain villages of Champéry, Les Crosets, and Champoussin with dramatic scenery. 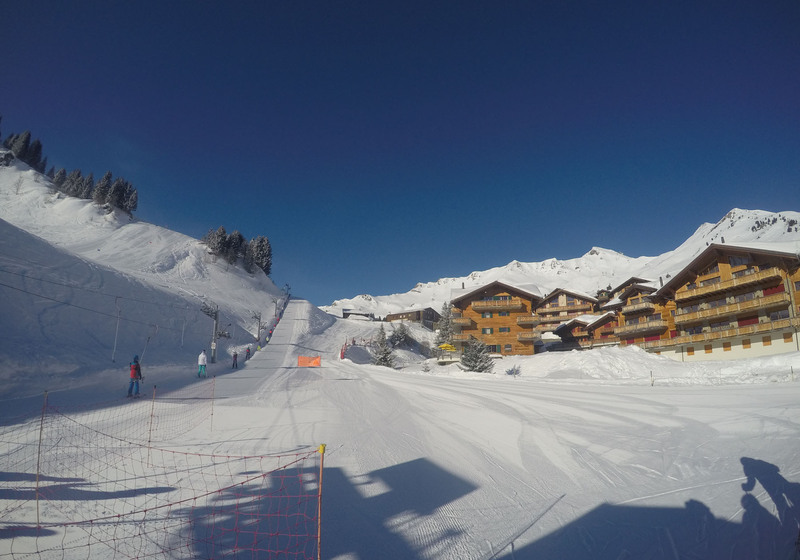 Of Portes Du Soleil’s 12 ski areas, half are French and half Swiss. 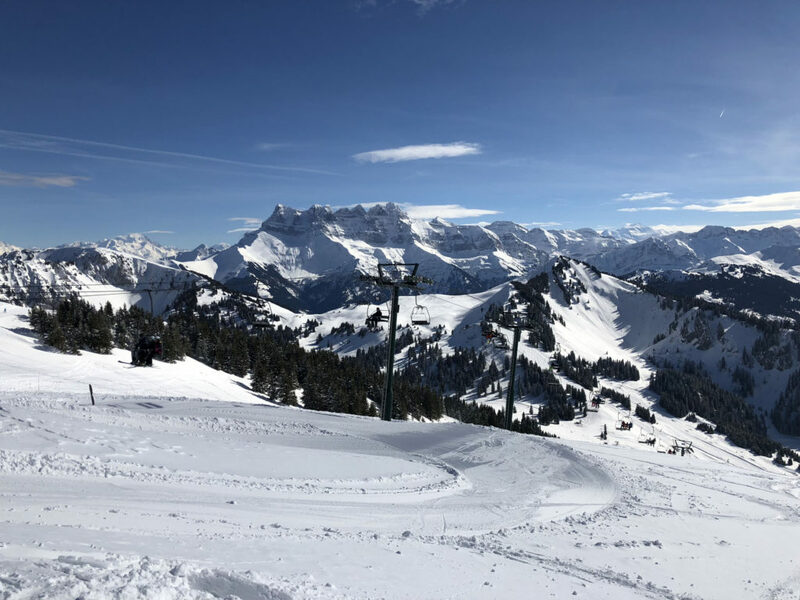 The Regions Dents Du Midi on the Swiss side of Portes Du Soleil includes the ski areas of Champéry, Les Crosets, Champoussin and Morgins. The entire Portes Du Soleil, is over 600 kilometer so skiing, 200 lifts and 300 trails. 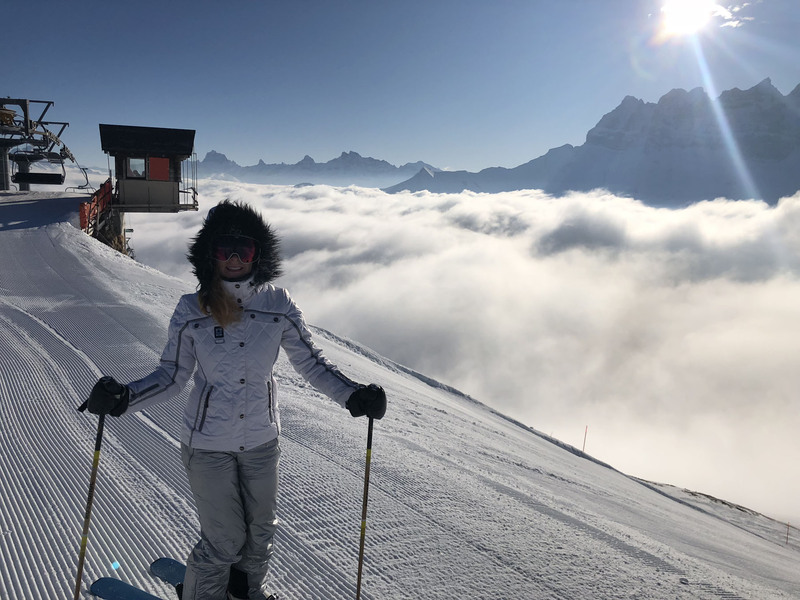 It is in the Regions Dents du Midi on the Swiss side that we found the best ski trails, and the most charming Valais villages for lodging, and the best on mountain chalets for a scenic on slope lunch. 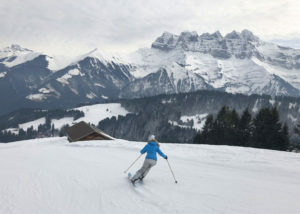 Champéry is an historic Swiss village with a modern gondola bringing skiers up to the slopes. 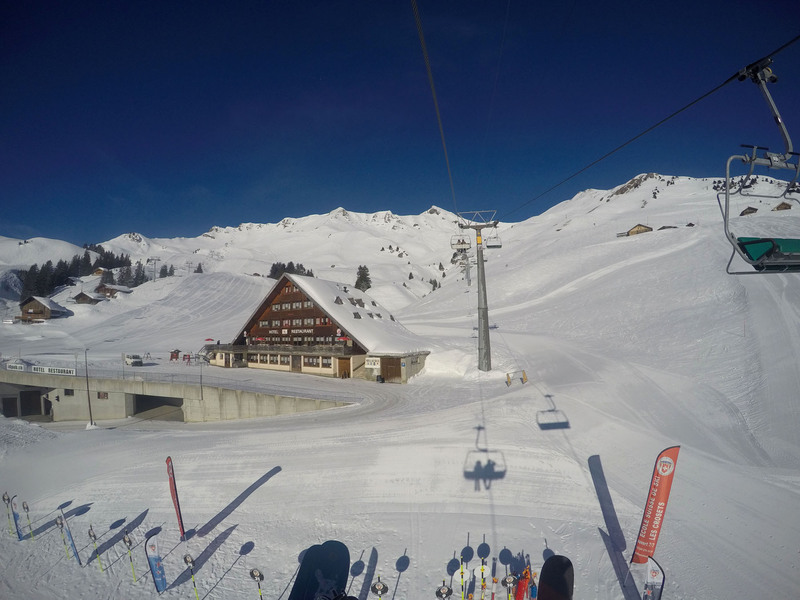 Les Crosets is a perfect sized Swiss ski town in the heart of the Portes Du Soleil – just one lift and you can also drop off the back side into France, ski to Champery or an 8 km ski all the way to Morgins. Champoussin is another small Swiss ski resort town, with low angle pastures perfect for skiing, used as farm fields in summer. 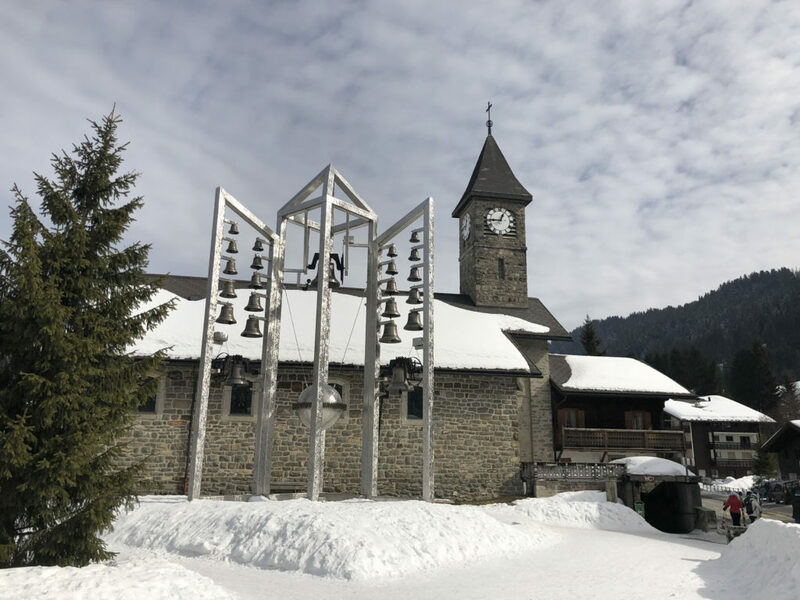 Morgins is a modest size authentic village, lots of chalets and hotels, and ski terrain in two directions, a bus is required to cross town to the ski slopes toward Châtel and Torgon, you can ski across town from Chatel back to the Swiss side however. All Portes Du Soleil’s skiing is on one pass, an RFID card, so you can ski with ease from Switzerland to France, and back, no passport required. 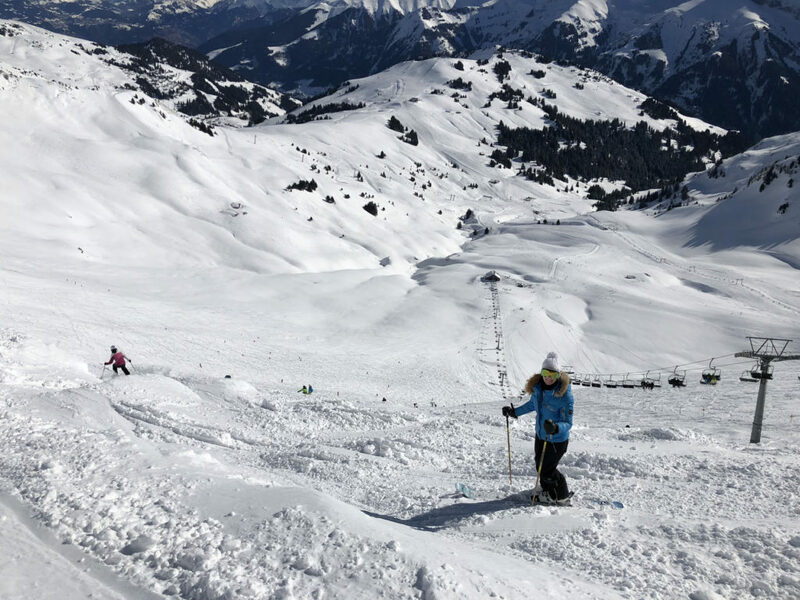 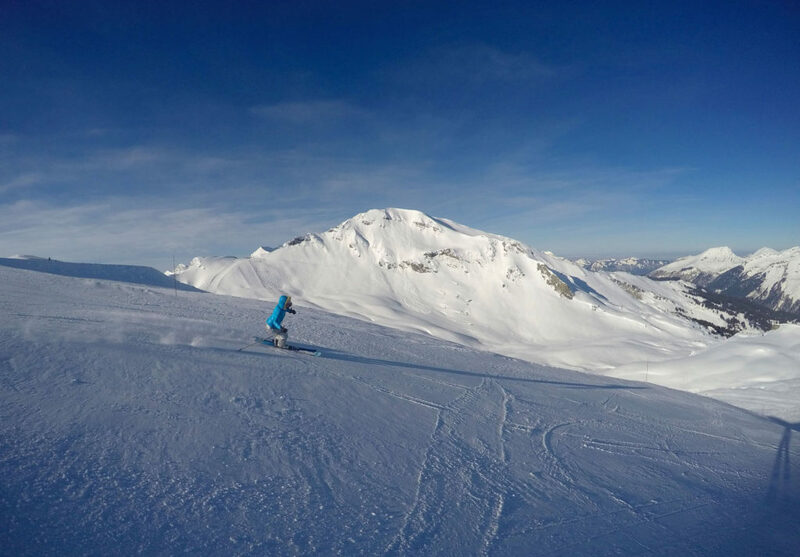 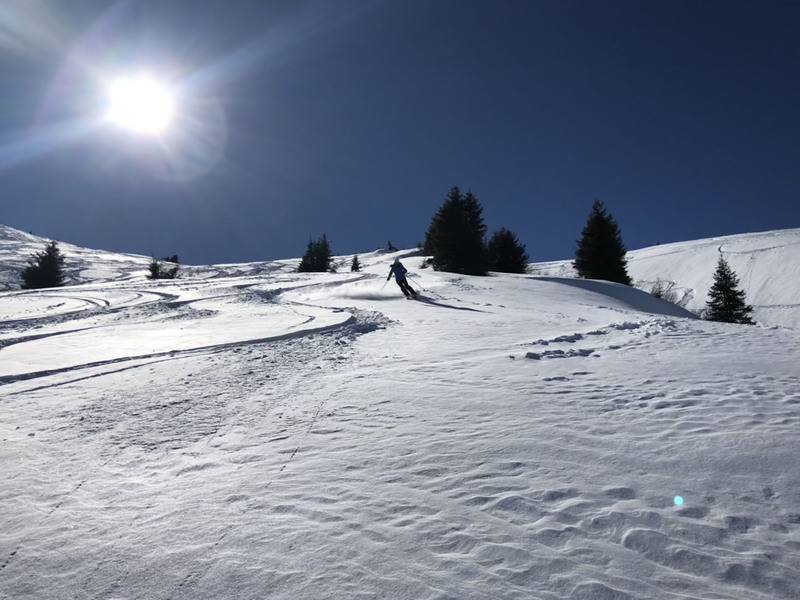 Its popular to tour the circuit, most do the PDS (Portes Du Soleil) tour clockwise, in a day, but we love skiing in a less structured tour and enjoying some of the best terrain and trails (see our Guide to the Best Ski Trails in Portes Du Soleil) not on the heavily skied circuit. 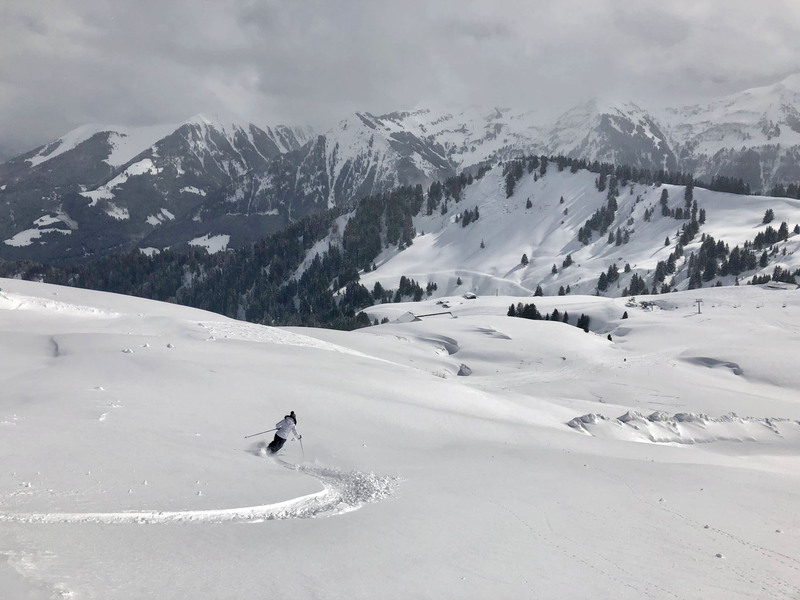 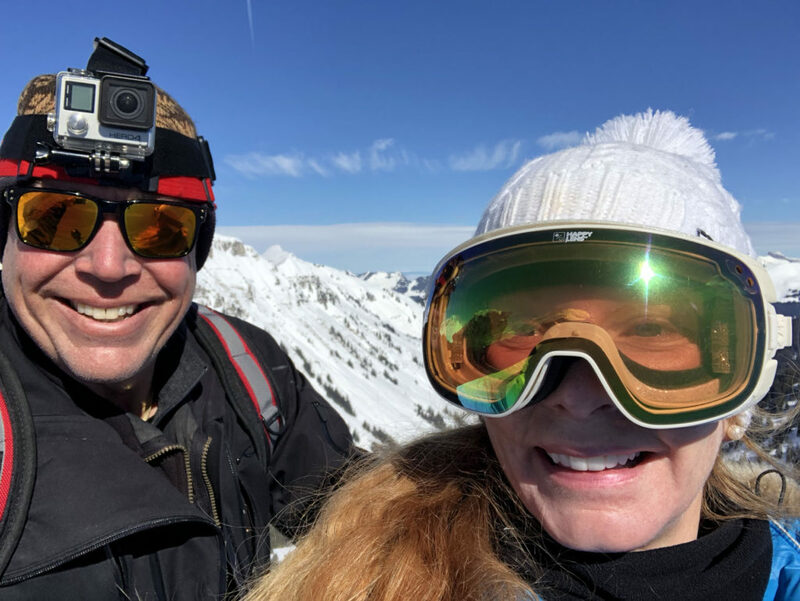 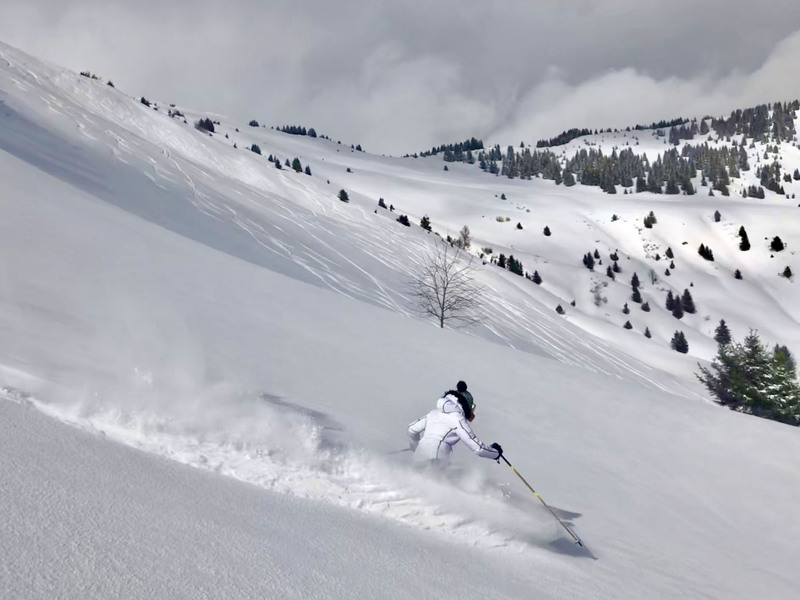 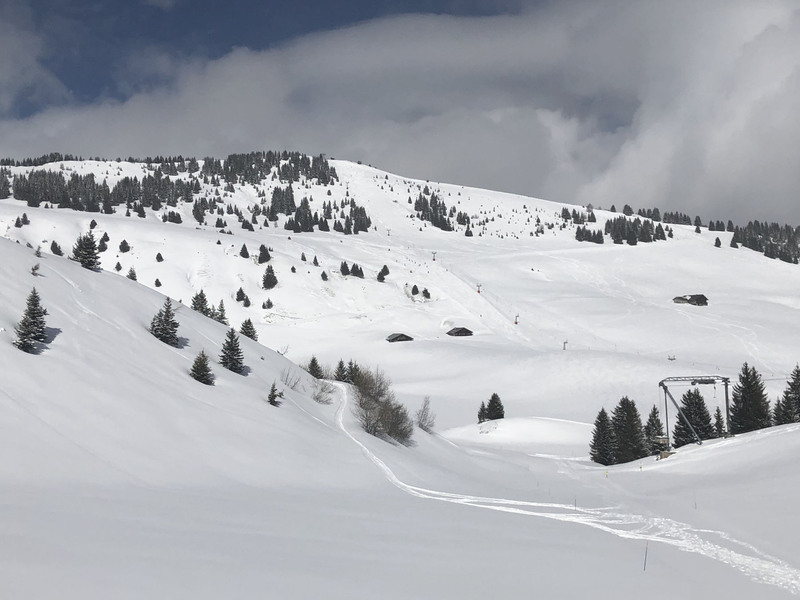 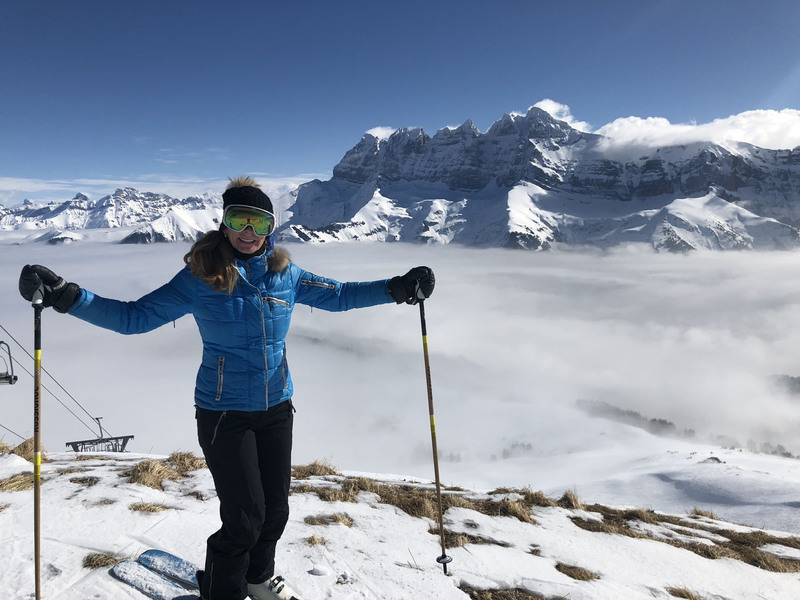 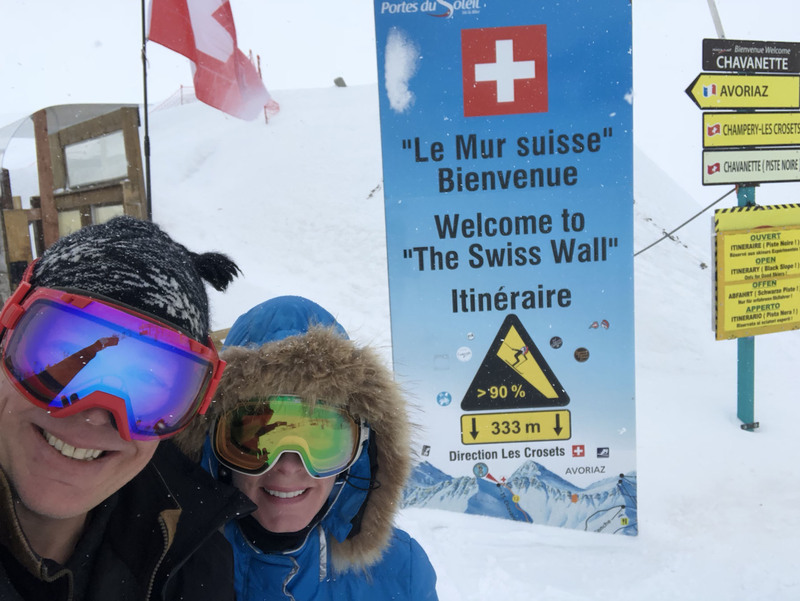 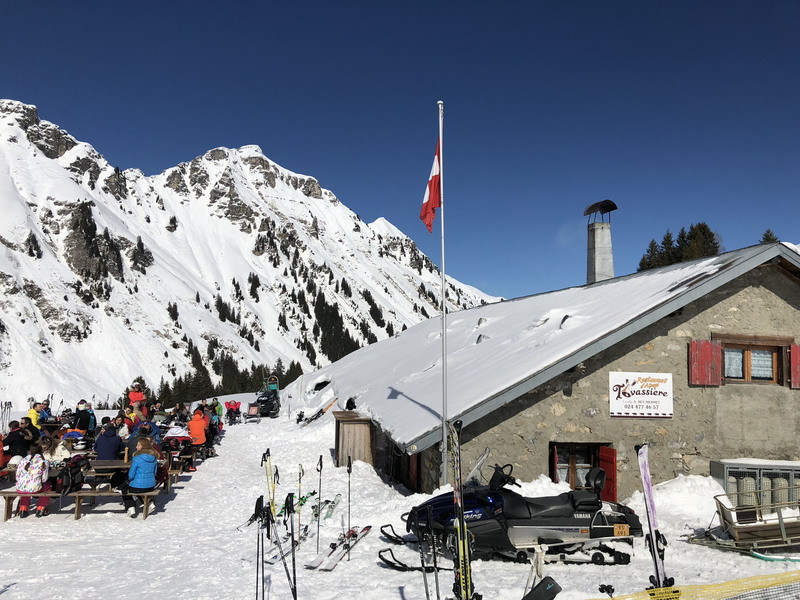 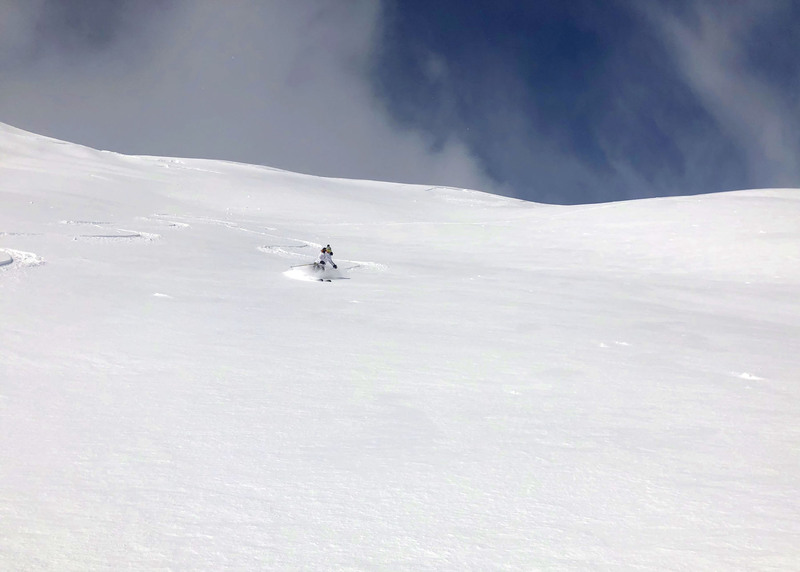 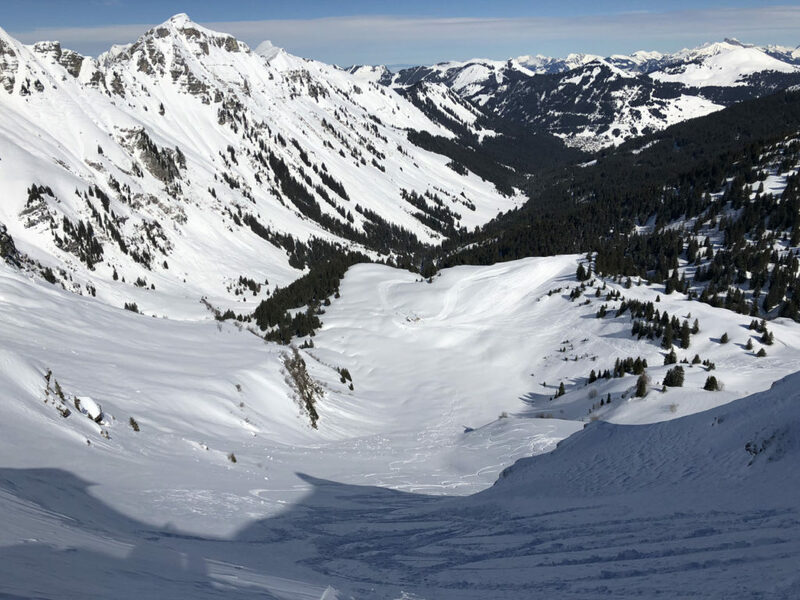 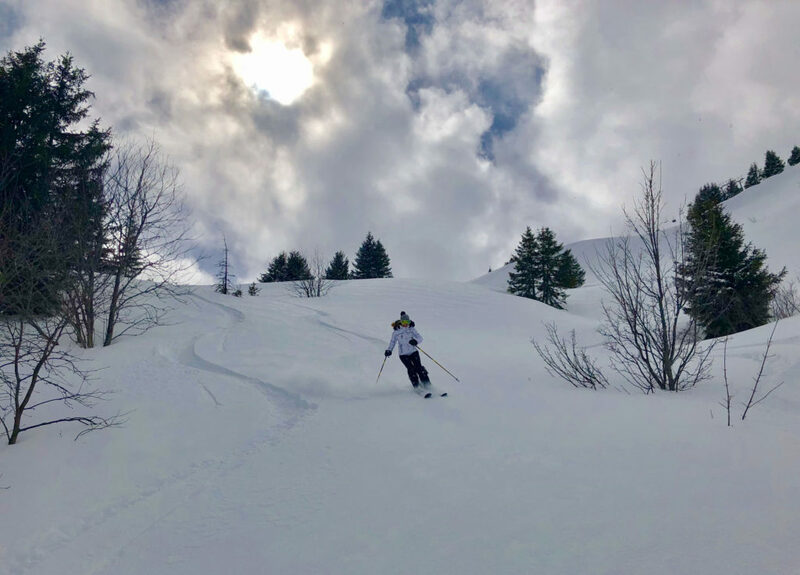 We recommend skiing off the PDS tour, instead exploring less-tracked ski trails and enjoying the scenery on the Swiss side, with less crowds than the busier French ski resort towns of Avoriaz and Châtel. 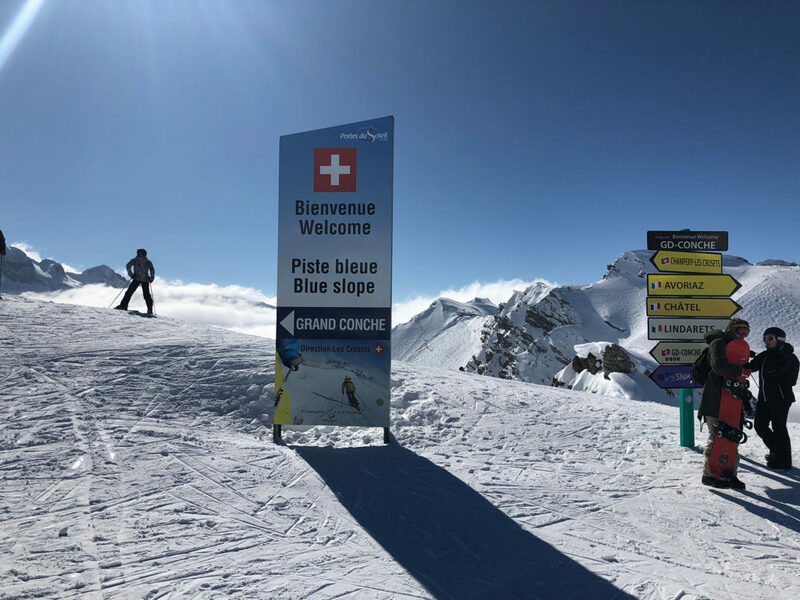 We particularly like the ski slopes of Champoussin, served by two quad chairs and three drag lifts (Poma & 2 T-bars) with amazing views of the Dents Du Midi – the seven distinct summits soaring up to 3,257-meters (10,685’) which are perfectly lit up at noon, hence the name – teeth of midday. 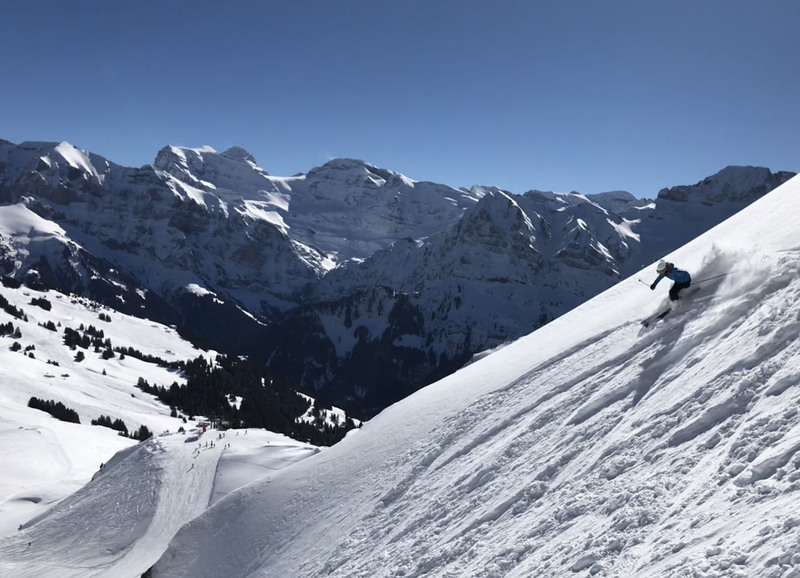 The Swiss side of Portes Du Soleil also offers some amazing off piste terrain, you are best to have a guide to explore this terrain safely. 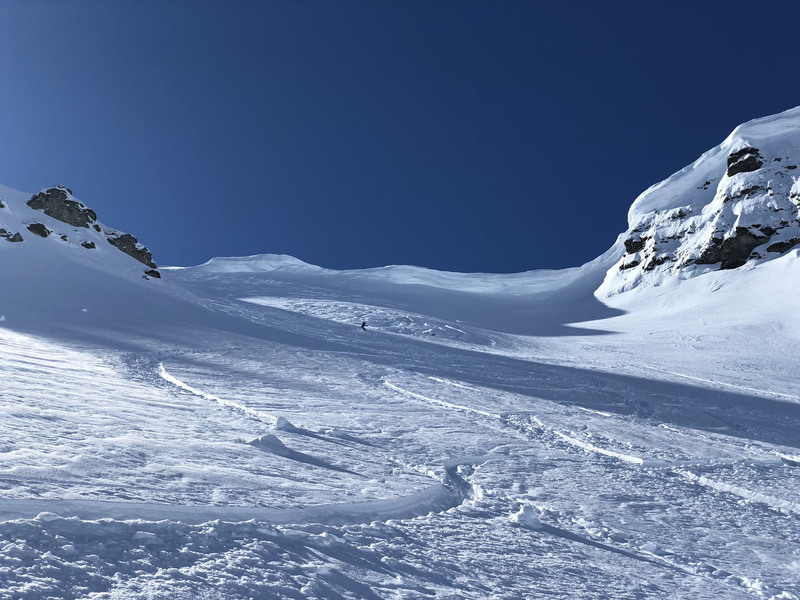 Some is gently pitched, but there are hazards of rocks and crevasses int his high alpine that a guide would know to avoid. 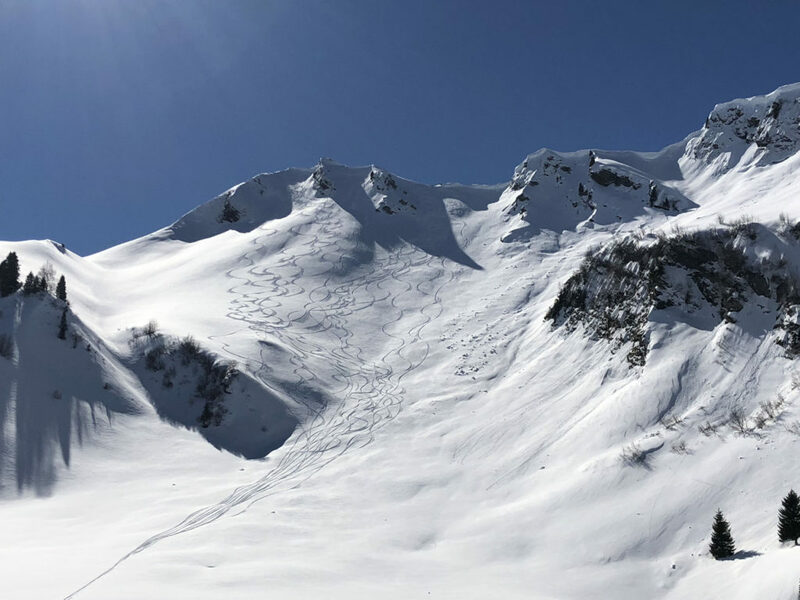 There is also steeper avalanche prone snow fields, that look gorgeous but could prove very dangerous or worse. 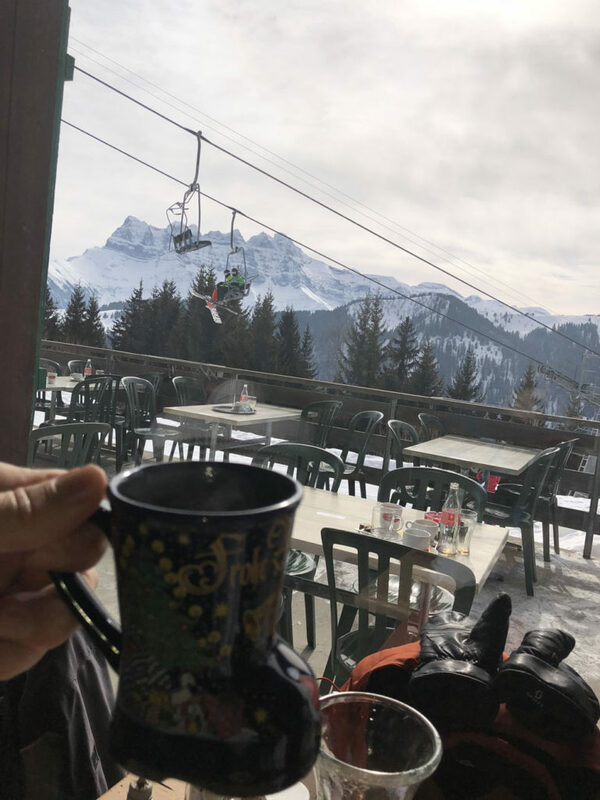 Lunch at chalets while skiing the Region Dents du Midi in Portes du Soleil is amazing, arriving at spectacular mountain chalets for a vin chaud (hot wine) and homemade local food. 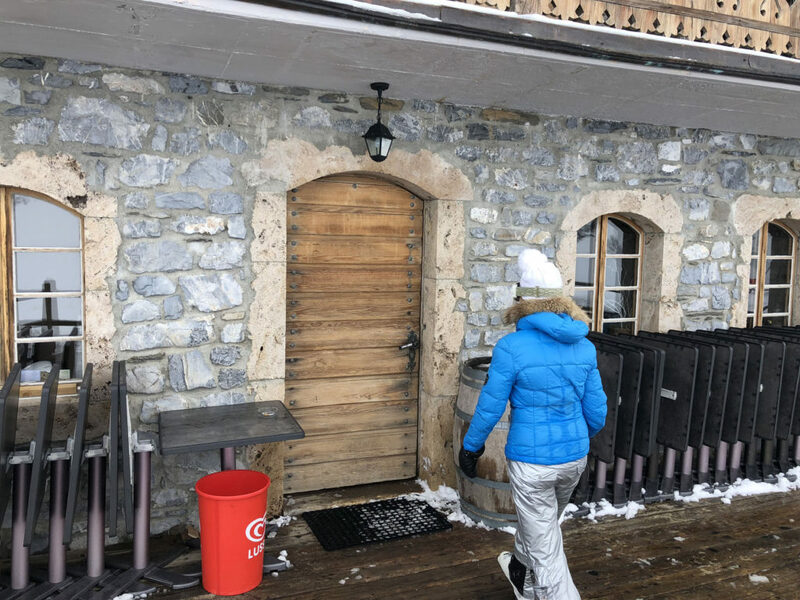 See our Guide to the Best Mountain Chalets in Portes Du Soleil and you will enjoy the wonderful tradition of Valais cuisine, a blend of French and Swiss local food (cheese, smoke meats, wine) served is classic cozy wood chalets with extraordinary views. 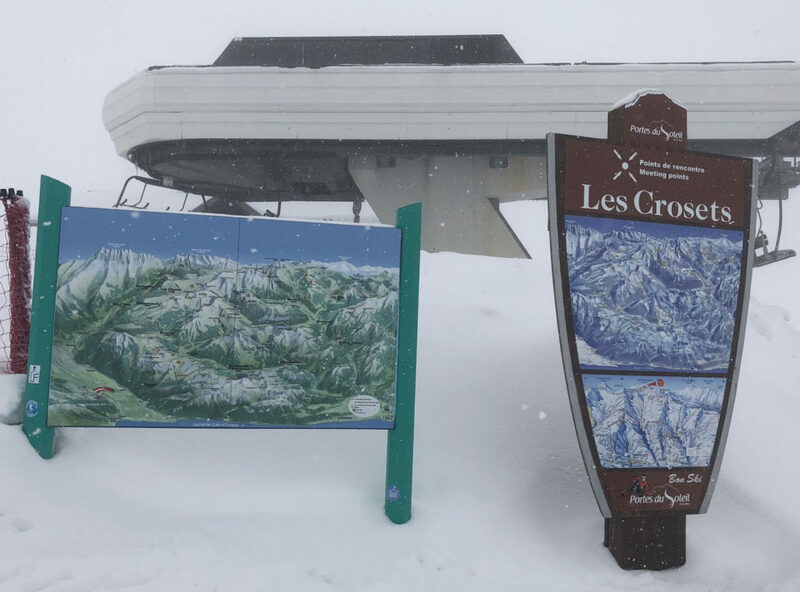 Les Crosets is an ideal lodging spot, a manageable walkable ski village, with key lifts that deliver you to the border, at Point Mossette you can drop into France, or ski the Swiss side. The Mountain Lodge is the best chalet hotel we found, located conveniently adjacent to a base poma lift, with modern but cozy alpine décor, and views of the ski slopes from each suite’s balcony. 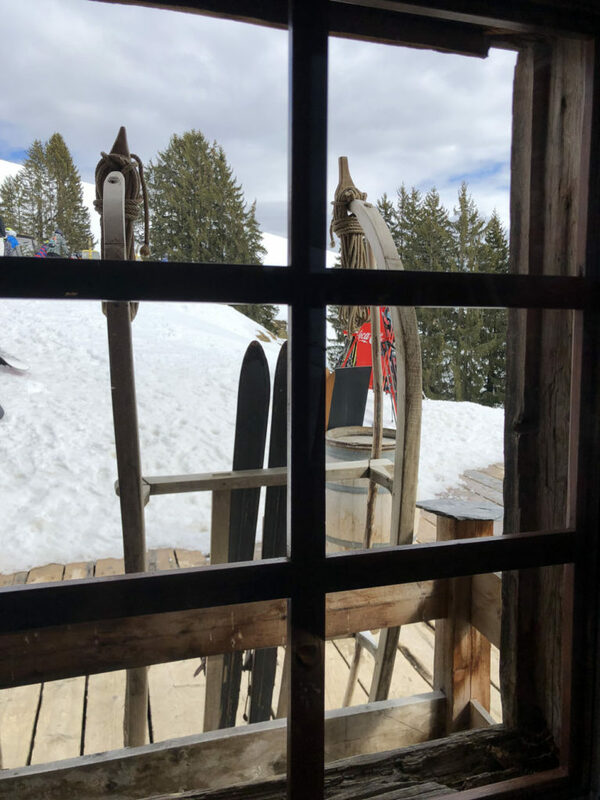 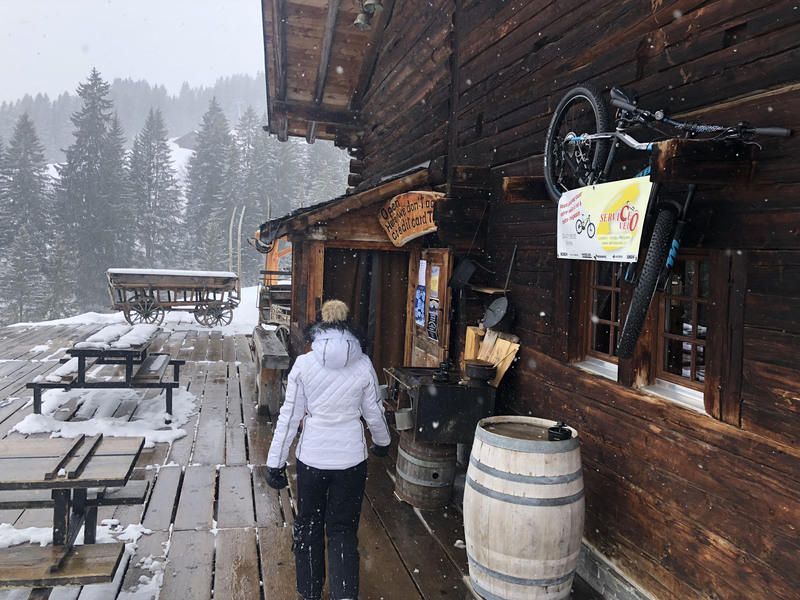 The cuisine is delicious, and everything is geared toward skiers from the ski and boot room, to the hot tub and spa, to après ski at the bar and fireplace living room. 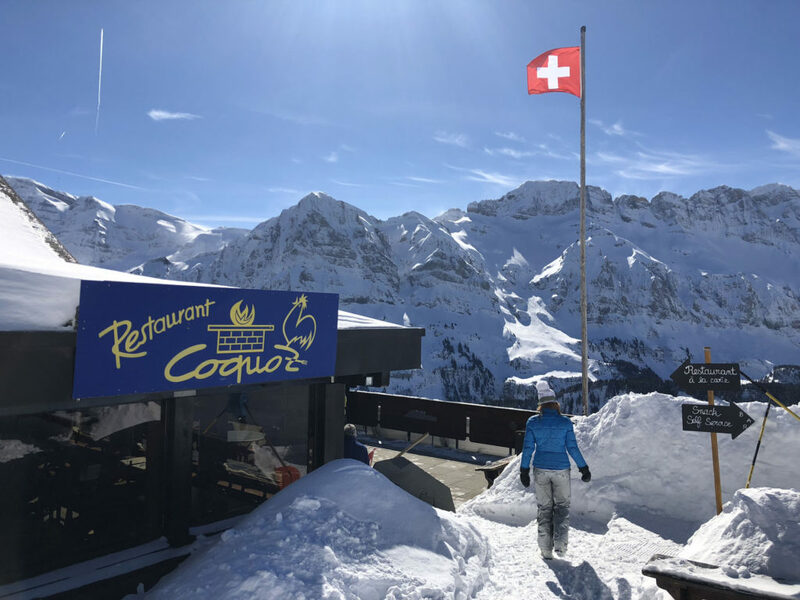 Portes Du Soleil’s Region Dents Du Midi is perfect for a ski vacation skiers who enjoy exploring vast new terrain, twelve villages and two countries, with beautiful Alps scenery at every turn.